Бурчаль стала доступна всем игрокам и это единственный на данный момент мурлок, которого можно достать игровым путём! Получить Белое яйцо мурлока вы можете по координатам 56 88 в подводной пещере в Борейской тундре. Как только вы попадаете в нужные координаты, спускайтесь под воду, смотря на руины , там будут красные и зеленые водоросли, за ними расщелина, плывите туда до конца пещеры, за алтарём с жемчужиной в груде мусора будет лежать Белое яйцо мурлока. Дану(( на мурлока могли бы легендарный петоквест запилить, а не раскидывать яйца по борейке. Единственный мурлок доступный игровым путем. Полутал сегодня благодаря помощи подруги.Вокруг пета сейчас настоящий ажиотаж.Летал 2 раза к месту респа и всегда много народу.Всем желаю заполучить его как можно раньше.Удачи. Теперь Бурчаль доступен всем. Ищем его в пещере в Борейской Тундре. Яйцо находится не на алтаре, а на полу в груде костей за ним. Объясните кто-нибудь людям, что яйцо - это не жемчужина, лежащая на алтаре. Из-за ажиотажа, сейчас яйцо можно не заметить в толпах персов, тем более, что после использования КЕМ-ТО оно на время исчезает и его можно заметить не сразу. Чтобы понять, где находится яйцо - нужно сходить вот сюда, 5й и 6й скриншоты. Яйцо - лежит в куче мусора за алтарём (где сейчас толпятся персы). Возможно станет недоступен после окончания Тыквовина, так что спешим заиметь уникального пета! Возможно это никому не интересно, но я не могу промолчать. Хочу выразить благодарность Мэдлайф с ВечнаяПесня. За что? Большего альтруизма я не встречал за долгие годы игры в Вов. Спасибо за старания. Я шел за петом, а получил нечто более важное - заряд позитива и тёплых эмоций Добра. Привет, может кому интересно. Если использовать на себя "Волшебное зеркало питомцев", что бы принять образ Бурчаля, а после прожать /танец, то сможем наблюдать весёленький танец в цилиндре и с тростью. Предположу что это "кан-кан". Почему яйцо оказалось там? Откуда? Кто же мог спрятать в такое столь далекое место эту малышку? Это останется для нас загадкой... Может быть... Навсегда. Один из луших бесплатных питомцев в игре! Бурчаль можно найти в яйце которое находится в подводной пещере в южной части локации Борейская Тундра. Добраться до Борейской Тундры можно при помощи дирижабля из Оргримара для Орды и коробля из Штормграда для Альянса. Бурчаль первый, но не единственный мурлок питомец доступный для получения внутриигровым путем. Еще одного мурлока с забавным именем Трескунчик его можно найти в Азсуне по координатам 20 20 (Карта). Будьте аккуратны локация предназначена для персонажей 110+ уровня и населена элитными мурлоками, так же для поимки вам понадобятся питомцы 25 уровня. Надеюсь ни у кого не возникнет проблем с получением, всем Мурлоков! Мргл Мургл Мрглгм! Terky is a white murloc like Lurky. This mysterious companion is called Terky and is learned from the Белое яйцо мурлока. This pet uses the original baby murloc model, except that it's white in color. according to the Pet Journal on the beta, Terky was from an old iCoke promotion in Taiwan. During the iCoke Taiwan event, a quest was created, and completing it rewarded the White Murloc Egg. It's not clear if players were able to hand in the quest and receive a baby murloc, though. Some claim that the promotion was only considered and in the end the idea was dropped. Both the quest and Terky were not meant to be distributed, yet a few people managed to obtain the quest and share it with others. He also tastes great with stuffing and gravy. While searching for a Trident. but found a pearl instead. Is there lot of murlocs here ? not really, only your little new baby. waiting behind in his egg. You need to be a hunter, or a Hunter ? 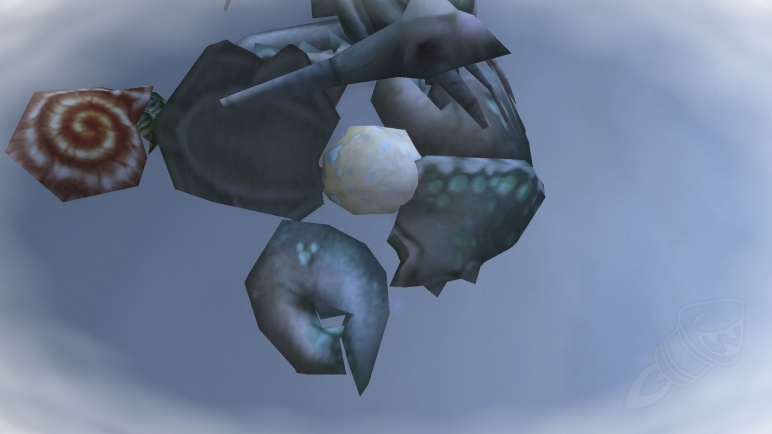 Murlocs eggs are out of water (or this one is). Some people can find a pearl near murlocs. Don't get trick by some words, or some hints. Follow what is Important and find him ! And open your eyes, because i fail after 2 hours of swimming. "Search or prove your true heart to some french players who start sharing it"
The entrance is really tricky to find. This is the first time this little one would come stateside. Plus if these comments are right. It may be the first murloc pet you dont have to buy something or get from an event. If you have the magic pet mirror you can mirror your Terky pet and do /dance and you will get a hat and a cane and dance. If the realm you are on is full of people and/or toys, zooming in all the way and standing on or around the egg and putting your cursor at your feet is a relatively easy way to allow for clicking it. Found a guide on how to get the pet was very helpful! To obtain Бурчаль, what you are looking for is a white egg on the ground inside the cave that contains the Белое яйцо мурлока. Don't let the pedestal with the large pearl fool you - the egg is in the pile of debris (seashells, rocks) off to the side, on the ground. Note that Бурчаль is unique - only 1 per account - and NOT cageable. After you get the first one, there is no point trying for another. If you happen to have any, Детская приправа is a good way to deal with annoying characters standing on the egg - this item shrinks any character you apply it to! These consumable items are sometimes found in the Маленький мешочек со специями awarded by completing the Dalaran cooking daily. They can also be purchased in the Auction House. Use your Волшебное зеркало питомца and /dance. Why is Terky popular all of a sudden? Now everyone can obtain this pet! Enter is under the water. Just so you know, the egg you need ISN'T the big one as you walk in, to the left of it you'll see a smaller one on the ground which is clickable and will contain the pet. P.s. He DOES do the dance, yaaay! Grab Terky, go do one quick battle against Ashlei, don't forget your Safari Hat and Terky goes from level one to twelve in a matter of a minute or so. If you're on a PVP server and the opposite faction is camping the spot, use the Premade Group finder to hop on a PVE server to grab it. But be courteous and choose someone who is letting people into their garrison to speak to NPCs rather than selecting someone who is forming a group for something else, like a raid, dungeon, or dailies. When I first looked over the battle pet rosters, I noticed how cute the little baby murlocs were. But then I despaired and feared I would never be able to acquire one, as just about all of them were linked to promotions and special deals/events. Blizzard has now laid one of my fears to rest. Thank you Blizzard! Non-Active accounts can still attain this pet with the "Trial" level characters (level's 1-20). So, you do NOT need to buy game time to get this pet. 1. If you are Alliance, and the cave is controlled by horde, make a level one Orc. Walk to Ogrimar, and take the zepplin to Borean Tundra, Northrend. In Northrend you will have to spirit-rez-walk until you are out of Warsong Hold. You will eventually rez at the Spirit Guide in Riplash Strand. From there you will spirit-rez-walk until you are past the agroing mobs, then swim to the cave entrance and loot the egg. 2. If you are horde, and the cave is controlled by Alliance, make a level one Human. Walk to Stormwind harbor, and board the right most ship to Borean Tundra, Northrend. When you reach Northrend, but prior to docking, jump off the boat and swim to the cave. You should not encounter any mobs swimming to the cave. Technically, (unless you are ganked), you could make it from toon creation screen to egg without ever dieing. 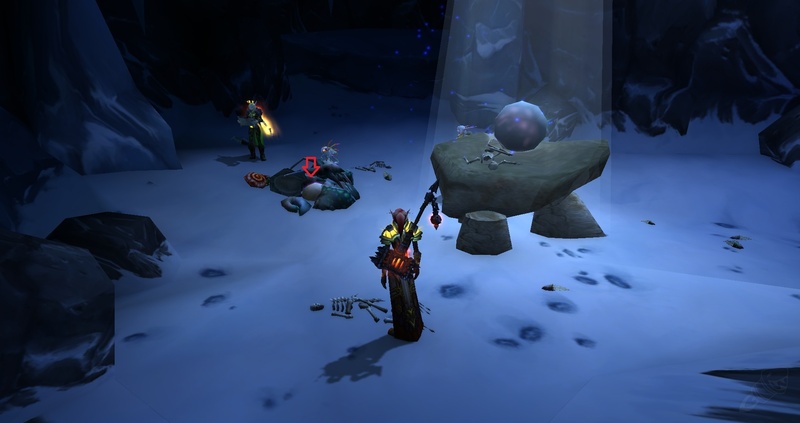 Since the Terky pet is account bound, any character you loot the egg on will grant your non-active toons the pet. Depending on your server, and how much time the other faction is controlling the cave, toon creation for the controlling faction may be the quickest - easiest - way for you to get the pet. Especially since no one is sure yet if the egg is a limited time thing that will go away and not come back. Looks like Lurky, to bad I had hoped for a different look on this one. I'm so happy to finally have a Murky-type murloc pet! I even named mine "Finally". So, does anyone remember what this cave is for? I don't remember it being in any quests. Just curious. Sorry I'm a bit late to the party. What is the big deal? Why is everyone excited? When was this added? The coords are corect don't swim to the bottum and stay near the "wall buidling". Swim down and you'll see a small space between the rocks and some seaplants. 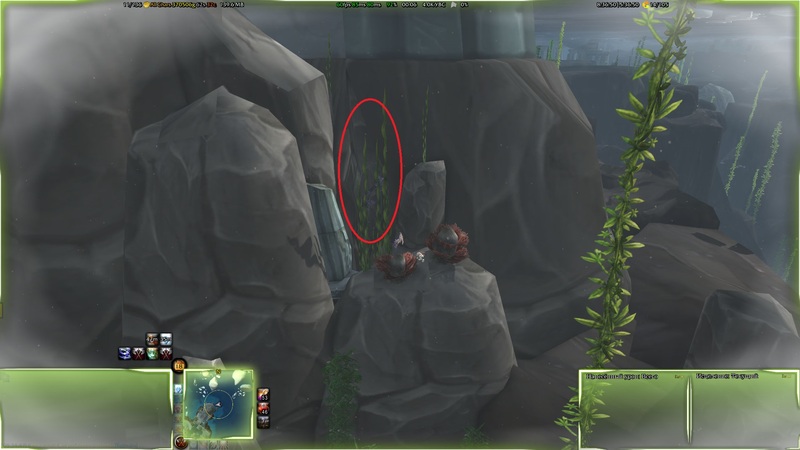 Pass those lovely plants, swimm up and there is the cave. Walk jump sing into the cave, and you'll find you egg. GL all, hope this will help a bit. Quick guide with commentary on where to find him and what to look out for! Бурчаль was once a promotional companion/pet released with iCoke Taiwan. However, since patch 6.2.2, it is available for any player to obtain. To obtain the Белое яйцо мурлока, for the battle pet, Бурчаль travel to Борейская тундра, Northrend. 1. Once in Борейская тундра, travel south to Riplash Ruins to the coords of 56.5, 87.9. Jump into the water and enter a cave, located behind some seaweed. •	NOTE: There is a pedestal that has a large pearl on it, this is NOT the Белое яйцо мурлока. The Белое яйцо мурлока is located behind it, on the ground. 5. Loot Белое яйцо мурлока and click on it in your inventory to obtain Бурчаль. The cave is barely a cave, it's a small crack in the rock. The cave is right at the tip of the island near the "NS" in "RIPLASH RUINS". Just be careful on PvP servers, there might be some fights between the factions. If the other faction is controlling the area you can make a level 1 human on a PvE server and take the boat to borean tundra from Stormwind, then swim towards the location of the egg and loot it. Here is a video from HeelvsBabyface on how to get Terky if you're having trouble finding the cave (with some commentary as well). Swim down a few metres, not all the way to the bottom. Find these rocks/seaweed. Caution: I encountered an apparent bug where finishing the entire battle with Terky's Stampede ability granted no pet XP and no post-battle hp Recovery. In this situation, the 3rd round of Stampede killed that last opponent and ended the pet battle. I verified this on Terky (lvl 23, 24) as I was leveling her against a couple of different kinds of PvE opponents (Rat, Fire-Proof Roach) as the last opponent in the battle. Бурчаль is hidden away in a cave in Борейская тундра in Northrend. Once you are inside the cave, you can find a treasure that gives you the Белое яйцо мурлока that teaches you to summon Бурчаль. Бурчаль shares the model and skin with the rare Burning Crusades' collectors edition pet (EU only) Урчаль. Both these pets do occasionally equip a top hat and a cane, and start dancing. This dance is interrupted if your companion starts moving. If you use the toy Волшебное зеркало питомца to turn yourself into Бурчаль or Урчаль, and do the "/dance" emote, you will equip the top hat and cane, and start doing the same dance. When you loot the treasure, you will get an BOA item that just like the treasure, is also called Белое яйцо мурлока. After you use this item, you will learn to summon Бурчаль. You should note that Бурчаль is a unique companion, and can't be caged! This means you can only get one per account, even if you try to get it on other characters! Please note that even though you can click on the treasure multiple times, you will not get any additional Белое яйцо мурлока's! Even though the treasure respawns after a few seconds, please let other players get a chance to loot it instead! You know, after trying to find the cave using some of the advice on here and struggling, I've to realize that the phrase 'the cave is under the surface of the water' is worth adding. Not many of the comments so far seem to reflect that. I frantically clicked on the egg on the pedestal about a hundred times, getting more and more agitated the entire time. The egg you want to click is NEXT to the pedestal, in a pile of junk. Can someone please tell me what tune she is singing? It sounds so familiar! Этот NPC может быть найден в следующих зонах: Даларан (6). Бурчаль очень застенчива и очаровательна. Ей больше нравится проводить время в компании старых близких друзей, а не заводить новых.